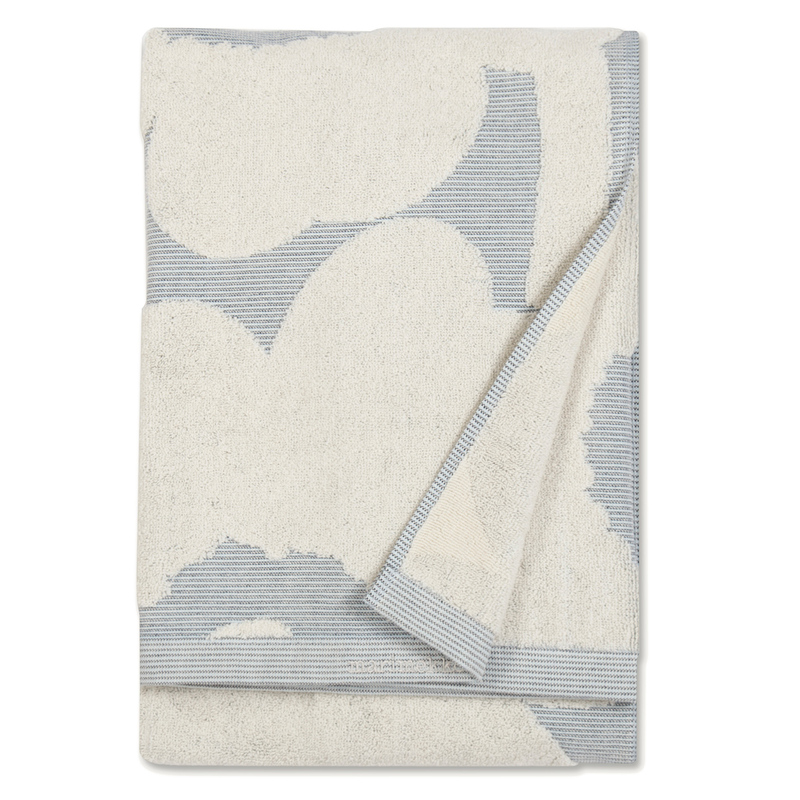 More about Marimekko Unikko Jacquard Blue Bath Towel Those who love Unikko and appreciate fine details will be especially smitten with the Marimekko Unikko Jacquard Blue Bath Towel. 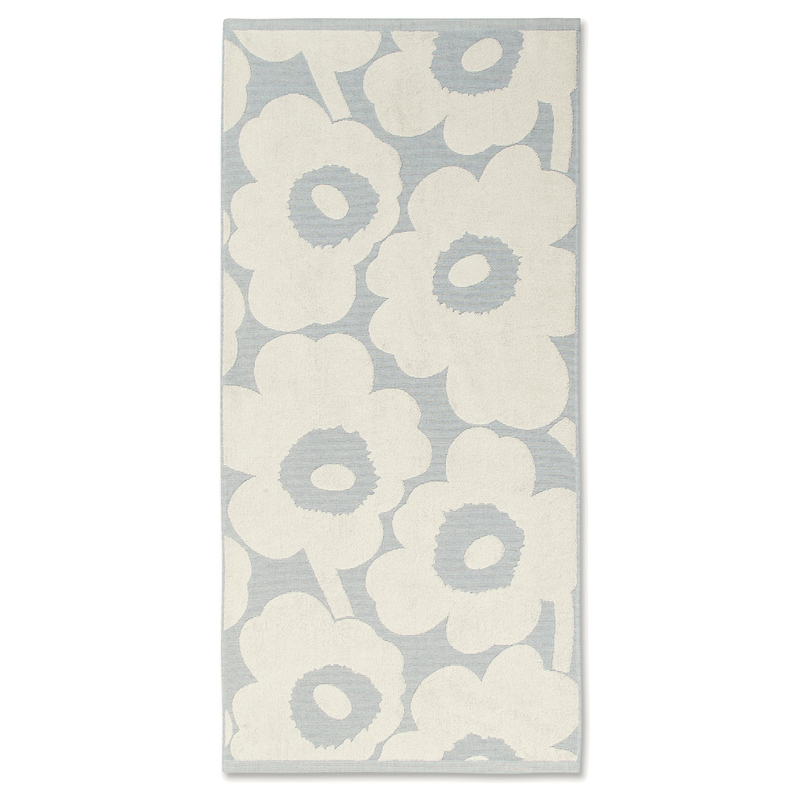 The unique weave allows the cream-colored Unikko flower to be raised against the striped blue background. The result is an aesthetic that is beautiful yet casual, perfect for everyday use. The 100% cotton is machine washable, absorbent, and lightweight for faster drying.